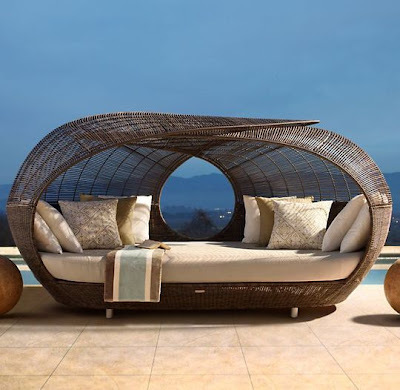 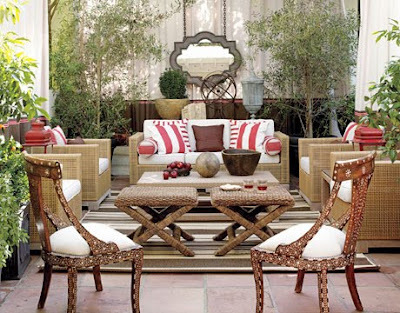 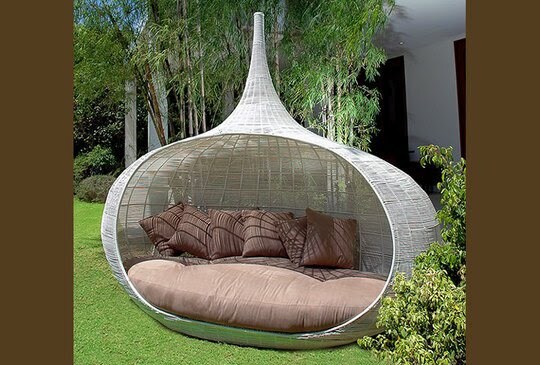 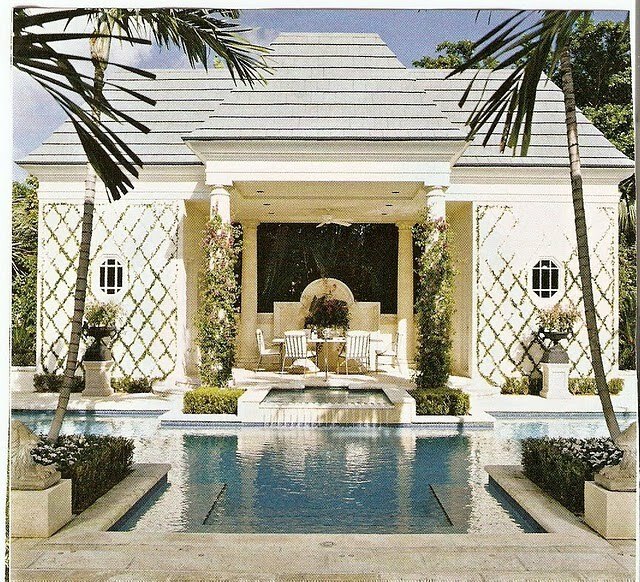 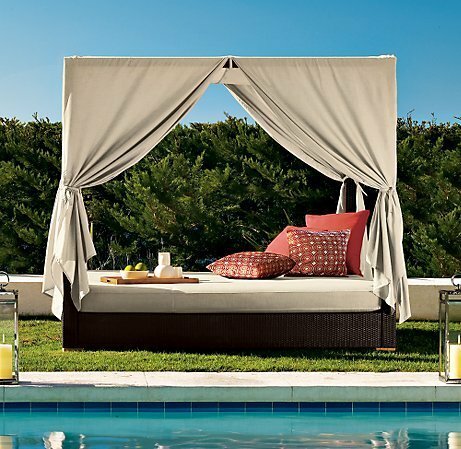 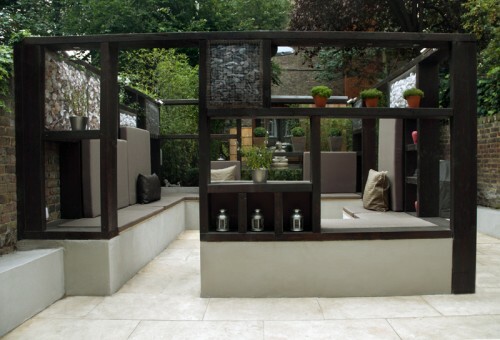 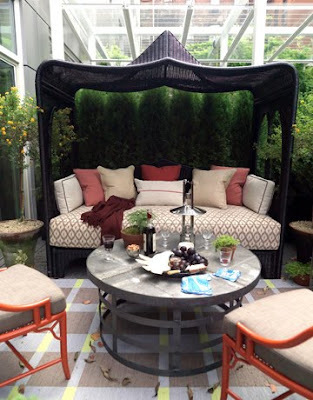 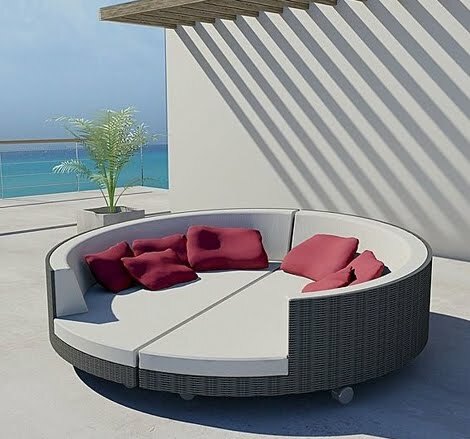 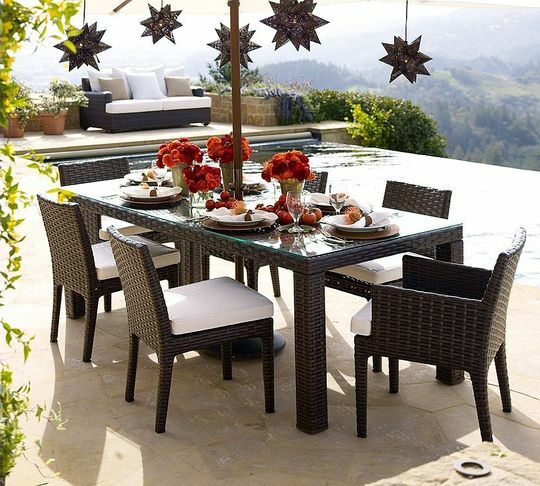 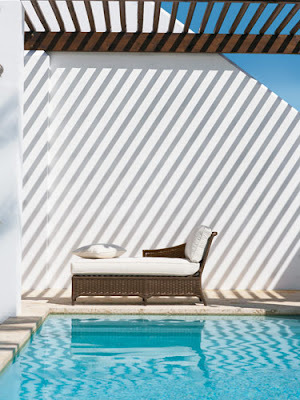 Summer is fast approaching which means spending more time outdoors, so why not bring the indoors out by furnishing your outdoor space with comfortable furniture and decor that invites entertaining and relaxing? 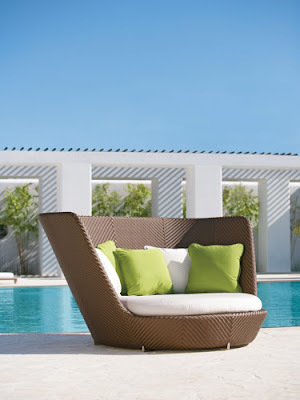 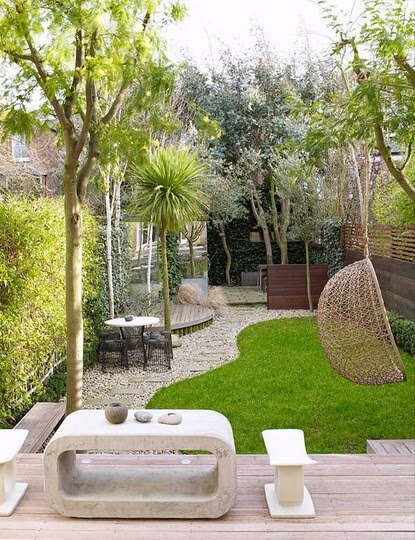 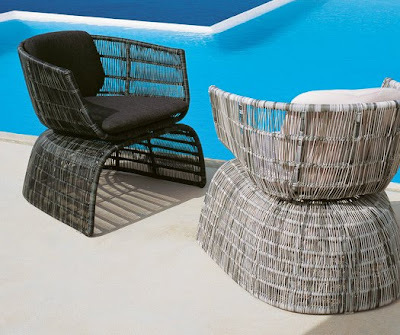 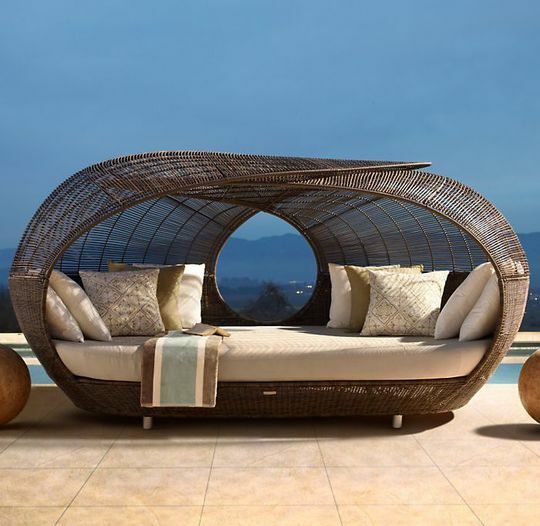 All-weather bronze herringbone-style nest chair, Gloster. 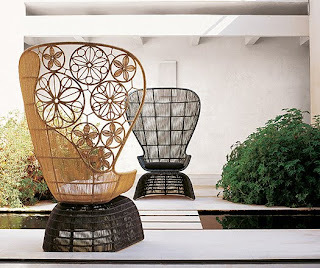 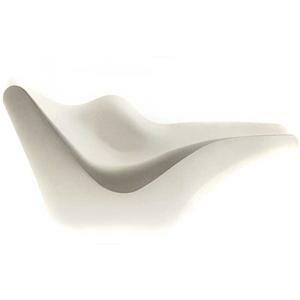 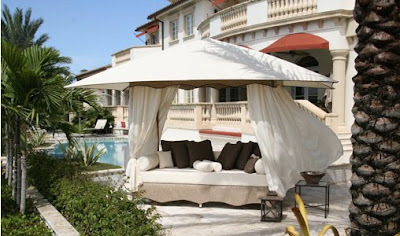 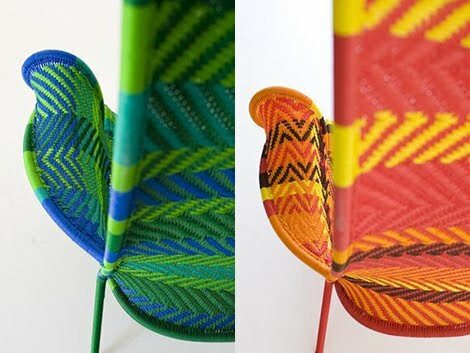 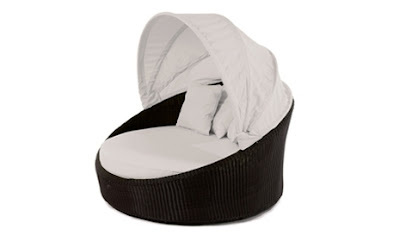 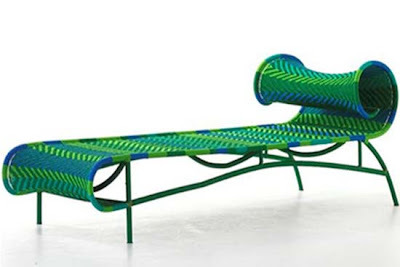 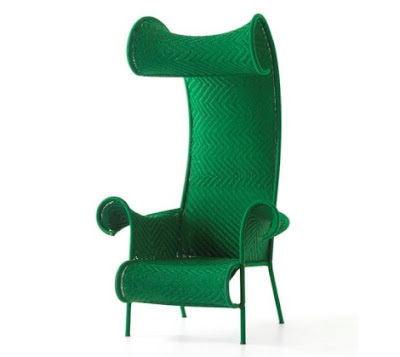 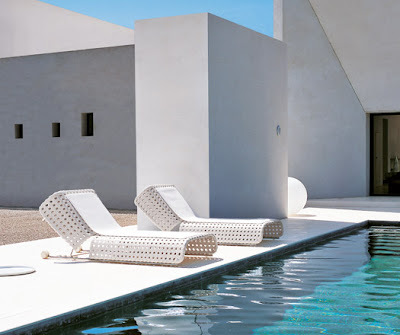 Pierce Martin's All-weather Winds Collection lounge chair.